Whether you sell in person, online or through an app, you know what you'd like to do next as your business grows. More than 12 million people in South Africa use Facebook every month to connect with friends and family and discover things that matter. 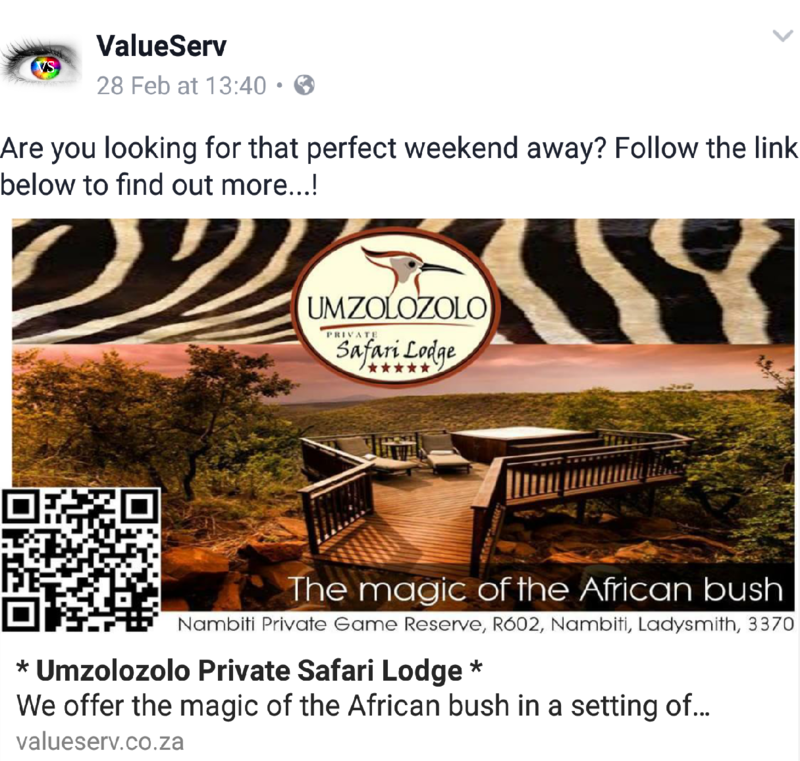 Marketing on Facebook helps you find new customers and build lasting relationships with them. Media is consumed over tablets, mobile smart phones and desktop with the average South African spending five hours online. Digital advertising is bought and sold on automated and superior targeting tactics with as many as 80 differentiating measures, including age, geography, and gender, far more than traditional advertising. This allows advertisers to sharply focus their campaigns and reach and communicate on a one-to-one basis with their market wherever they are and at whatever time of day they are online. 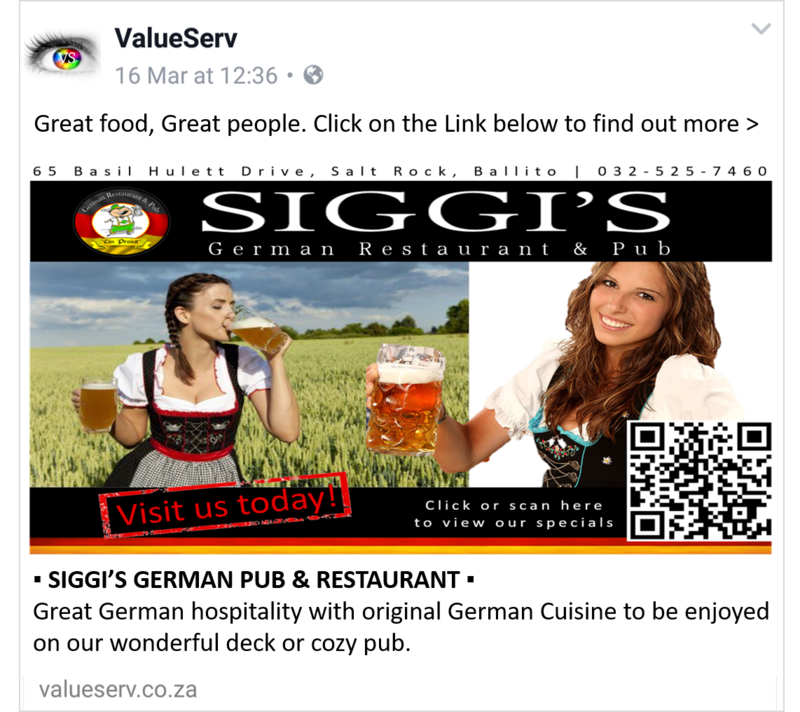 South Africa have currently 12 million monthly users on facebook and of that, 12 million mobile users. It has 7.3 million daily users and 7 million daily mobile users. 99% of your prospective clients are on facebook. 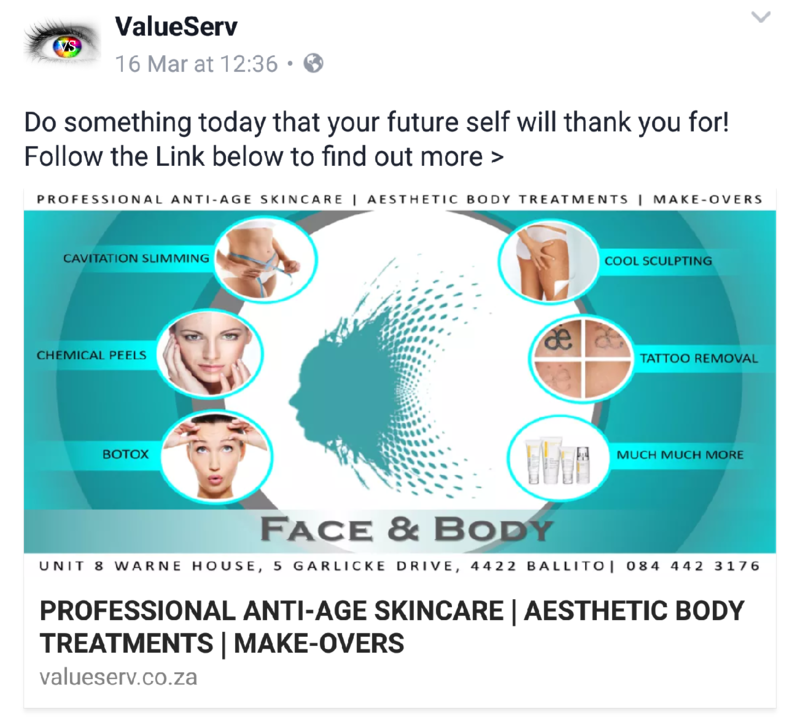 At ValueServ we have come up with a unique way to create a subconscious awareness for your brand that gives consumers quick access to all your most important and most relevant information. People today are quite lazy when it comes to reading posts and adverts. This is why it is very important to use something that will grab their attention. When creating this unique interactive advert, a lot of thought goes into the image used and the message posted in the advert. In less that 15 words you will need to summaries exactly what you are offering. Consumers do not want to get lost in words. This interactive advert is created mainly for mobile users. 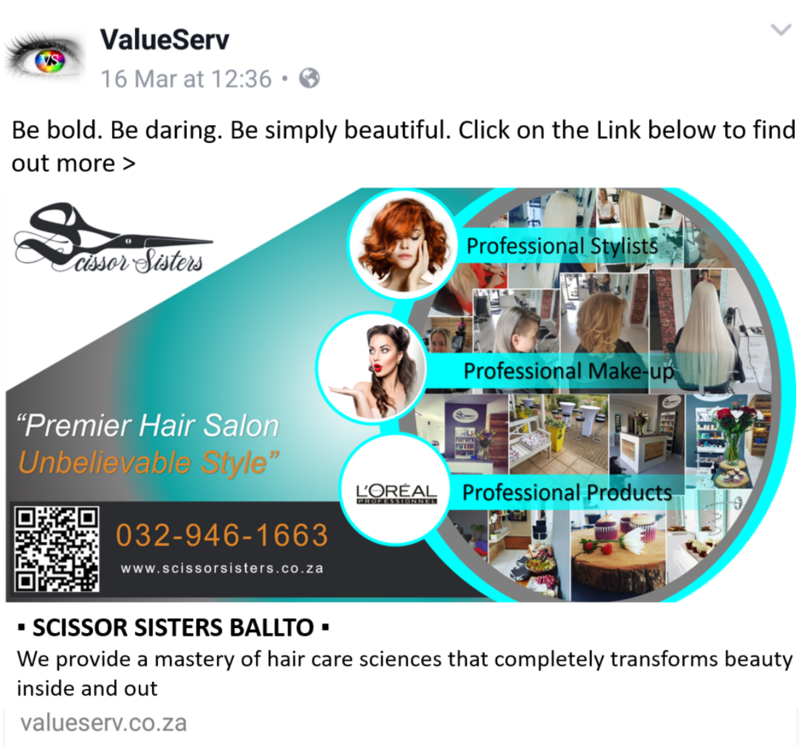 On your desktop, the image created will link with either your facebook page or to your website address, where on your mobile device it will link to the landing page created for your business. 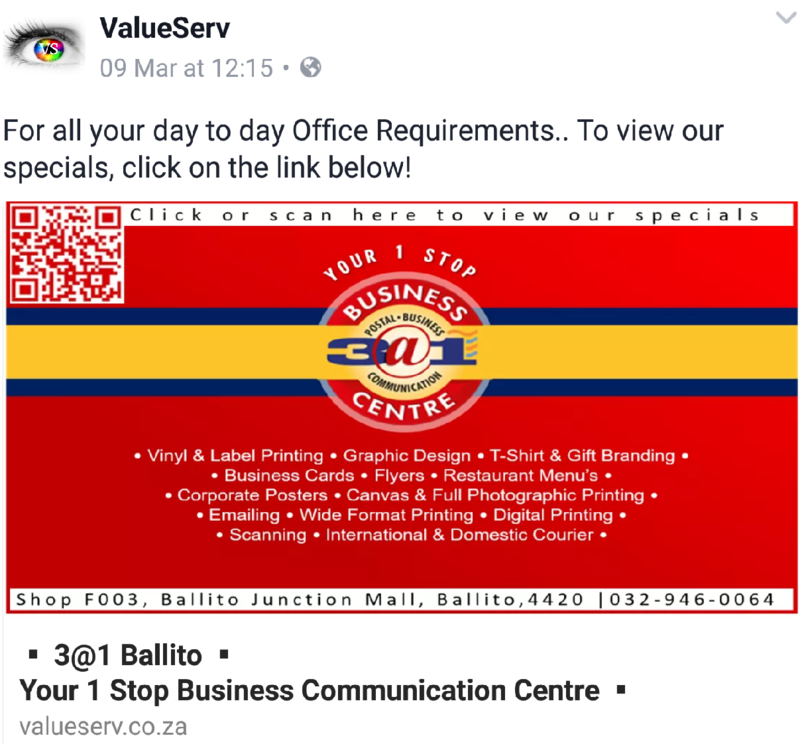 Buttons can be customized to link with any page already created, a call button, contact us, make a reservation, watch our videos, view our specials, download our pricing etc etc as well as get directions, send a sms with a pre-written message. We also build custom Apps for your business users can download from Google or Apple Playstore. This App we will then market also using the interactive advert. 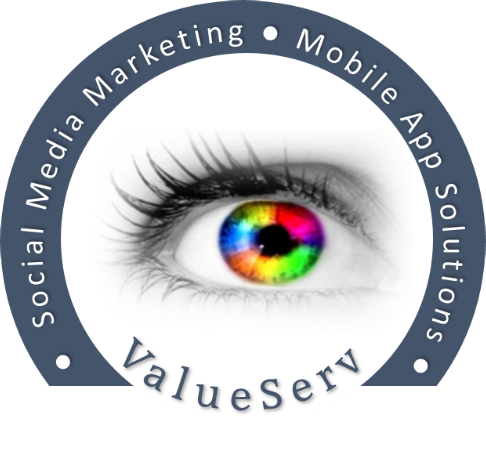 To find out more about getting an app click on the link below or go to www.b-appy.co.za. 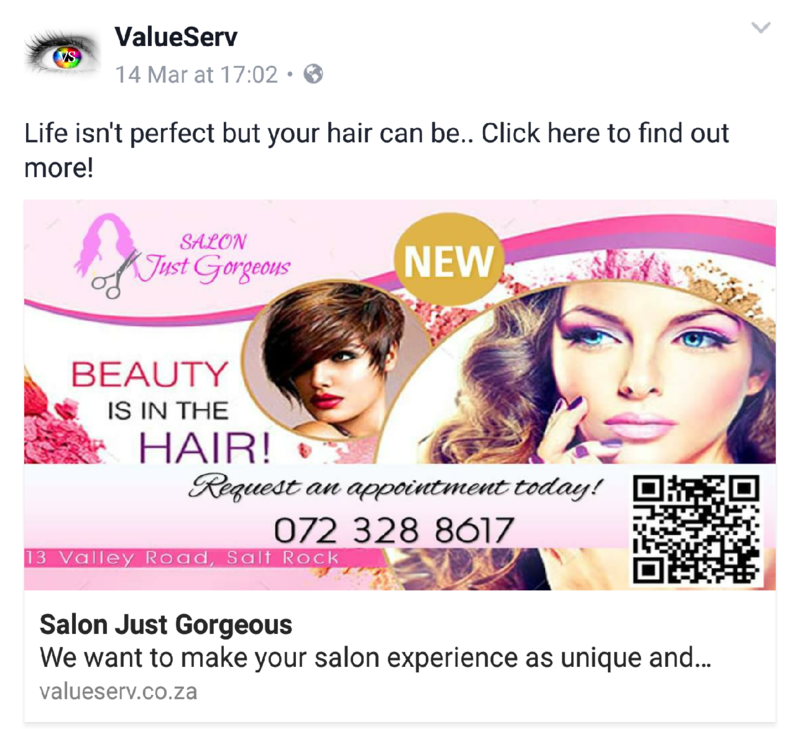 We target a specific audience on facebook with the advert created. Posting it to various groups in your area twice a week. Members per group we post to has between 300 to 150 000 members per group and with this post that we send out we can reach up to 100 000 per week. Here is some examples made and how it will appear on facebook. Click on the image to view the interactive page created.